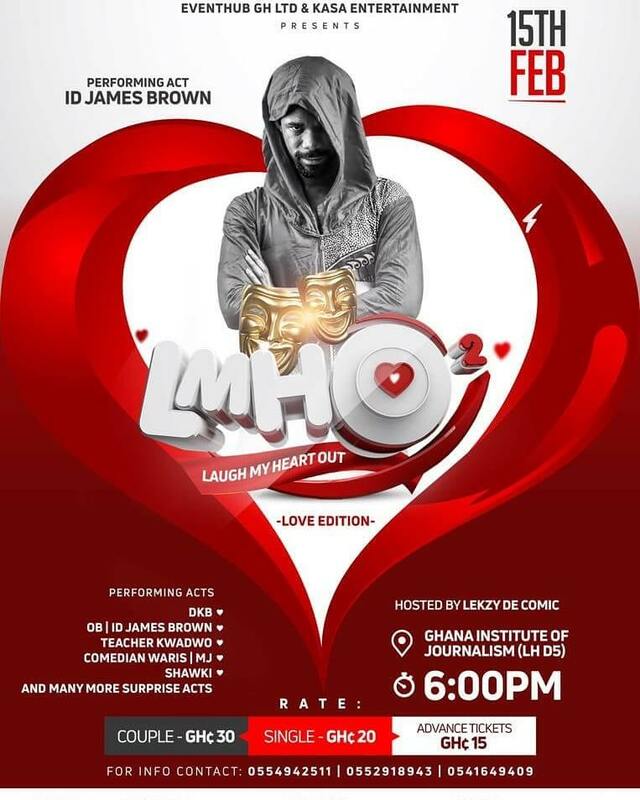 Headline acts billed to perform include; Lekzy decomic, DKB, ID James brown, Teacher Kwadwo, OB and a host of other A-List comedians. Performing on the night alongside the headline acts include; Comedian Warris, , MJ, ID James Brown, Shawkiya and other young talented acts. Daniel Attoh, Chief Executive Officer of KASA entertainment spoke to odateyghnews.com and he said, ” The Laugh my heart Out comedy show is one of the best comedy show to hit our country, people should not miss this event particularly in the month of love” He urged on all couples and students to purchase their tickets on time to avoid any disappointments. He added that another aspect is promoting home grown acts citing that there are lots of young talents on GIJ campus that have also been recruited to perform.